This week, Bob looks a little more closely into the Kingwood home invasion the the two people who were convicted of that crime. Along the way we discover some very disturbing information. Things are not always as they seem. In this episode, Bob answers questions from social media over Episode 35. Best Fiends - Download for free on the Apple App Store or Google Play. Stamps.com - Enter "truth" for a free 4-week trial, plus postage and a digital scale. This week Bob compares a home invasion that occurred in Harris County on 2/26/12 to the Melgar home invasion. The two attacks occurred about 10 months apart, and the similarities are shocking. Purple Mattresses - Text the word "truth" to 84888 for a free Purple Pillow with purchase of a mattress. In this episode, Bob answers listener questions over both the Adnan Syed and Sandy Melgar cases. He also gives his opinion on the recent remarks made on the Getting Off podcast, where the hosts gave disparaging opinions on ordinary people's contributions to criminal justice reform. forms.com/ruffed - Get started for just $5. betterhelp.com/truth - Get 10% off your first month. hellofresh.com/truth80 - Use code "truth80" for $80 off your first month. In this episode, Bob gives his thoughts on the Adnan Syed case after the HBO docuseries The Case Against Adnan Syed concluded. He also finishes his breakdown of the trial testimony of Billy Belk in the Melgar case. stamps.com - Use code "truth" for a free 4-week trial, plus postage and a digital scale. ziprecruiter.com/truth - Try it for free. While Bob is out of town, he calls into the studio for a recording with Mike. They discuss the conclusion of the HBO docuseries, The Case Against Adnan Syed as well as answer listener questions over both the Adnan Syed and Melgar cases. headspace.com/justice - Get a free month trial. Bob begins his breakdown of defense investigator, Billy Belk. Belk is a 32 year veteran of the Houston Police Department. As a former homicide investigator and a licensed attorney, he tells the jury what a real investigation is supposed to look like. Bob invites lawyer and co-host of the Undisclosed podcast, Colin Miller, onto the show for an interview. They discuss their thoughts on the new HBO docuseries The Case Against Adnan Syed, as Colin was a consultant on the show. They also delve into what legal steps can be taken next to see Adnan Syed walk out of prison. stamps.com - Use code "truth" to get a 4-week trial, plus free postage and a digital scale. fabfitfun.com - Use code "truth" to get $10 off your first box. This week, Bob concludes his look into the trial testimony of Detective James Dousay. ziprecruiter.com - Try ZipRecruiter for free. Postmates - Download the app and get $100 of free deliveries in your first 7 days by using code "bobruff". In this episode, Bob answers questions on both the Melgar case and the Adnan Syed case, after the second episode of The Case Against Adnan Syed aired on HBO. joybird.com/justice - Use code "justice" to get 25% off your first order. ziprecruiter.com/truth - Try ZipRecruiter for free. Bob continues to break down the testimony of Harris County Detective James Dousay. They week, we finish up direct examination and move onto Mac Secrest's cross of Dousay. The truth begins to show it's face as his direct testimony is picked apart. This week, Bob updates listeners on the Adnan Syed case amidst the airing of the new HBO docuseries, The Case Against Adnan Syed. Bob also addresses listener questions pertaining to the Melgar case after last week's episode, which covers the first part of Detective Dousay's trial testimony. thirdlove.com/truth - Get 15% off your first purchase. stamps.com - Click on the microphone at the top of the homepage and type in "truth" for for a special offer that includes a 4-week trial, free postage and a digital scale. Bob begins his breakdown of Detective James Dousay's trial testimony. We get a much clearer understanding of how the jury was convinced that Sandy changed her story throughout her police interview on December 23, 2012. While Bob is on the road, he invites Patreon subscriber Jennifer Neeley onto the show to co-host this week's Friday Follow-Up. Jennifer is an instructor at UC San Diego Extension and asks Bob questions from her influencer marketing students. For more information on Jennifer and what she does, visit jndglobal.com. stamps.com - Use code "truth" to for a special offer that includes a 4-week trial, plus free postage and a digital scale. forhims.com/ruffed - Try hims for a month for $5. In this episode, Bob answers listener questions from Mike collected from social media. Topics of discussion include Sandra Melgar's health issues, paramedic Stephanie Roberts' testimony at trial, and more. ring.com/truth - Get an offer on a Ring Starter Kit. fabfitfun.com - Sign up and use promo code "truth" for $10 off your first box. Bob compares and contrasts the trial testimonies of two women who were standing side by side with Sandy, in the hour immediately following the discovery of Jim's body. Paramedic, Stephanie Roberts, and Harris County Precinct 4 Constable, Jennifer Martinez, witnessed the same things . . . but their impressions could not be more different. Postmates - Download the app, and use code "BobRuff" for a $100 free delivery credit. In this episode, Mike addresses listener questions to Bob gathered from social media. Topics of discussion include why Bob decided to take on this case as well as the testimony of Maria Melgar at Sandra Melgar's trial. stamps.com - Use code "truth" to get a 4-week trial plus postage and a digital scale. This week we hear an English translation of Maria Melgar's initial police statement, followed by Maria and Herman's trial testimonies. Bob reveals a distinct contrast between their recollections on the night of, and their memories 5 years later at trial. Ziprecruiter.com/truth - To get started hiring the right person today, for free. Stamps.com - Enter code "truth" for a special offer. This week, Bob answers questions from social media surrounding the transcribed police interview of Herman Melgar. Poshmark - Download the free app and enter invite code "TruthAndJustice" when you sign up to get $5 off your first purchase. justice.robinhood.com - Get a free stock. This week Bob is assisted by listeners, who have transcribed and recorded an English speaking version of Herman Melgar's initial police statement given on December 23, 2012. In this episode, Bob invites listener and psychologist Kelly Dziedzic into the studio. They discuss trauma, its impact on memory, and how these topics relate to Sandy Melgar's case. To learn more about Kelly's work advocating for trauma survivors and teaching others to do trauma-informed forensic assessments well the first time (including the DASH - 2009), visit her on Twitter @RelativelyUn or email her at admin@relatively-unscathed.com. fabfitfun.com - Use code "truth" for $10 off your first FabFitFun box. Bob breaks down Harris County Homicide Detective, Shawn Carrizal's trial testimony. We find out what the lead investigator charged with finding Jim Melgar's killer did . . . and didn't do. Bob delivers a quick update on our Season 4 Case: The wrongful Conviction of George Powell. Bob also announces a combined fan meetup with Jim Clemente, Laura Richards and Lisa Zambetti. We will all be meeting fans for drinks, along with Lizz Rose, Stephanie Davies, and the hosts of A Date With Dateline podcast. The meetup will take place on Wednesday 2/6 at Mom's Bar, in Santa Monica. We have the room beginning at 7pm. Bob answers listener questions form social media and voicemails. Topics include: The woman that Sandy remembers seeing in the bathroom, and the similar home invasion in Kingwood. This week Bob attempts to find the investigative leads that convinced the Harris County DA's office to approve murder charges on Sandy Melgar. On December 23, 2012 the DA rejected Detective Carrizal's request for the charges. A year and a half later, Sandy was indicted for murder. What changed? In this episode, Mike asks Bob questions from listeners on social media. Topics of discussion include the relationship between the prosecutor and the jury foreman and more importantly, the experiments conducted by jurors during Sandra Melgar's trial. Poshmark - Download the free Poshmark App and use invite code "TruthAndJustice" to get $5 off your first purchase. stamps.com - Click on the microphone at the top of the homepage and type "truth" for a free 4-week trial, plus postage and a digital scale. This week Bob breaks down Point of Error Number 3, from Sandy Melgar's Appeal Brief. P.O.E. #3 alleges misconduct on the part of the jurors. We also hear about some new revelations, regarding the post trial behavior of the Prosecutor and the Foreman of Sandy's jury. In this episode, Bob answers listener questions from social media. Topics of discussion range from the prosecution's use of religion as a motive at Sandra Melgar's trial, to the confusion over the missing television set. warbyparker.com/truth - Get a free home try-on kit and a pair of glasses including lenses for $95. This week, Bob breaks down Point of Error Number Two in Sandy's appellate brief. Error #2 cites alleged prosecutorial misconduct, in that the State injected the religious tenants of the Jehovah's Witnesses into trial in order to prejudice the jury against Sandy. This week, Bob responds to a voicemail and questions from listeners. He also focuses on the GoFundMe launched to create a reward for information on Jim Melgar's killer. This week Bob begins the breakdown of Sandy Melgar's recently filed Appeal Brief. The focus of this episode is on the first of three "Points of Error" spelled out in the brief. Point of Error Number One states that Sandy's jury errantly convicted her, without legally sufficient evidence beyond the legal standard of reasonable doubt. Mike and Bob are on vacation this week. In place of an episode of Truth & Justice, Bob wanted to brighten your day with his favorite episode of one of our sister shows, The Disgruntled Moms Podcast. Disgruntled Moms is an NBI Studios original in the comedy vein. Laugh along with Sam, Jaime, Joanna, Val and Tanya as they discuss the very real effects having a baby can have on a woman's body. After reviewing Sandy's police interrogation videos multiple times, Bob decides to bring in an expert. Jim Fitzgerald is a retired FBI profiler specializing in language. Fitz gained notoriety when his skills in forensic linguistics helped to find and capture the UNABOMer. In this episode Fitz gives his expert analysis of Sandy's police interrogations. In this episode, Bob and Mike bring Lizz Rose onto the show to help answer questions generated by listeners on social media. lightstream.com/truth - Get an additional interest rate discount this holiday season. forhims.com/ruffed - Try hims for a month for just $5. S6E19: What Are We Missing? Bob investigates the Prosecution's claim that nothing was stolen from the Melgar's home on the night that Jim was killed. We here from Jim and Sandy's daughter, Lizz, who explains how she worked tirelessly to find her father's killer, while being ignored by the Harris County Sheriffs Department. After hearing from Harris County ADA Colleen Barnett that Jim and Sandy may have been having marriage problems and were in counseling, Bob investigates. In today's episode we hear from friends of Jim and Sandy's, and a member of Jim and Sandy's Kingdom Hall. Newyorker.com/truth - To save 50%. This week, instead of answering listener's questions, Bob and Mike play four police interviews recorded on the night Jim Melgar's body was found. Interviews include Marissa and Monica Melgar, Gerson Campos, and the neighbor across the street who dialed 9-1-1.
legacybox.com/justice - Get 40% off your 1st order, or save up to $200 on the largest LegacyBox Kit. brooklinen.com - Use promo code "Ruff" to get $20 off and free shipping. grove.co/justice - Get free Mrs. Meyers Holiday products, a free 60 day VIP membership, and a surprise bonus gift when you sign up and place an order of $20 or more. Bob breaks down the blood pattern analysis report generated by Celestina Rossi, as well as her trial testimony and recent interview on KHOU. lightstream.com/truth - Get an additional interest rate discount. quip.com/justice - Get your first refill pack free. This week Bob and Mike bring Lizz into the studio again, to help answer questions from listeners from social media. ring.com/truth - Get a special offer on a Ring Starter Kit. rothys.com - Enter "truth" for free shipping. Bob continues his conversation with retired FBI Profiler, Jim Clemente. This week Jim gets down to brass tacks and weighs in on who he thinks killed Jaime Melgar. Bob sits down with world renowned criminal behavior analyst, Jim Clemente. Jim served 5 years as a prosecutor in New York City, before moving on to the FBI where he spent 22 years as a profiler. Jim has prosecuted and investigated thousands of murder cases during his career, and today he begins his breakdown of the crime scene at The Melgar's home. Bob breaks down the testimony of DNA expert Matt Quartaro. The scales of justice tip in both directions during direct and cross examination. Harris County Crime Scene Investigator is called out on his deceptive CSU report on the Melgar murder scene investigation by defense attorney, Mac Secrest. truth.robinhood.com - Get started with a free stock! This week Bob and Mike tackle a voicemail and questions from social media covering the Melgar case. As a bonus, included after the episode credits is a trailer for NBI Studios' new podcast "Made Us" by Zaq Weaver, where Bob was a guest. Bob begins his examination of the trial transcripts with Medical Examiner, Kathryn Pinerri. In this episode we finally hear what the jury heard at Sandra Melgar's trial. Pinerri's report is twisted into a narrative that helps shape the jury's verdict. Bob breaks down the second half of Jim Melgar's autopsy. A look at the ME's opinions and conclusions reveal startling information, as well as a huge blow to the State's case. We also compare the scientific evidence from the autopsy to Sandy's recorded interviews. This week Bob answers questions from social media with Mike and Lizz Rose joining into the discussion. legacybox.com/justice - Get 40% off your first order or save up to $200 on the largest Legacybox kit. Bob breaks down all of the injuries listed on Jaime Melgar's body in the autopsy report. After analyzing 31 sharp force injuries, and a multitude of blunt force injuries he offers up a hypothesis as to what might have happened. In this episode, Mike asks Bob questions from listeners in an effort to get a better idea of the events that took place after Herman Melgar and his family discovered Sandra and Jaime in their home. Today's Sponsor: brooklinen.com - Use code "ruff" at checkout to get $20 off and free shipping. S6E4: Does Fact Fit The Theory? This week, Bob addresses listener questions including jury misconduct in the Echols/Baldwin trial, the knife found in the lake behind Jason Baldwin's home, and the red rayon fibers found at the crime scene. Today's Sponsors: simplecontacts.com/truth - Or use code "truth" at checkout, for $30 off. PD Stories - Find this new podcast on your favorite podcast directory. The show interviews cops from all different areas of America. S5E25: The Final Word on Misskelley's "Confession"
NBI Studios is pleased and proud to announce our latest production. Created in collaboration with PutThemInASong.com, this is The Root Note. Hosted by Shane Yoder, Shane walks us through the process of interviewing clients to find the root of their songs. At the end of each episode, you'll get to hear the song that was created from the interviews. In this week's episode, Bob and Mike discuss listener's main points from social media after Sunday's episode, where we heard from Damien Echols himself. Today's Sponsors: stamps.com - use code "truth" for a special offer Hustlin' In Heels Podcast - Hosts Stacey and Kaylee bring on guests to talk about modern women "killing it" in life. New episodes drop every Wednesday at 6am on your favorite podcast directory! In this episode, Bob calls into the studio while on assignment in West Memphis to answer Mike's questions from listeners on Episode 509\. In this bonus episode, we hear from Executive Director of the Innocence Project of Texas, Michael Ware. Mike fills listeners in on the progress in George's case, including some unbelievable shenanigans by the Bell County District Attorney's office. The Bell County DA continues to fight with every trick in the book to keep an obviously innocent man locked up for another 18 years. Bob and Mike are back in the field in West Memphis, this week. They take a break from their investigation to record this week's follow-up from their hotel room. The guys answer a few listener questions, then release some audio from the WM3 trials as background the the upcoming Season 5 Premiere. Today's Sponsors: TryBasis.com/truth - for a free month of Basis by Elysium Blue Apron.com/truth - for $30 off your first meal with free shipping. The premier episode for our season 4 case will drop tomorrow morning at 6am eastern time. Here is a quick listen in on what's to come! Bob and Mike are transitioning through three cases at once this week. As season three is approaching the finale, questions are few. In this episode the guys button up a few loose ends, leading us into the season finale. Today's Sponsor: Letote.com - Use code "truth" for 50% off of your first month. Bob shares everything that we know about suspect Kenneth Ray Williams. We learn about his criminal history, and the details of his violent offenses. Then we break down the chronology of his involvement into the investigation. Today's Sponsor: Chatbooks.com - Get first SERIES book free with promo code "truth"
Bob & Mike brings fan page discussions onto the podcast. Bob explains why he feels that the z-28 lead is so important, and compares it to our other leads. Today's Sponsors: Unsolved Murders: True Crime Stories Podcast - Check it out at Parcast.com/unsolved LeTote.com - Use code "truth" for 50% off of your first month Squarespace.com - Use code "justice" for 10% off of your first purchase of a website and domain. Bob sits down with Troy's 1991 girlfriend, Shonna Cupples. Shonna reveals information that may lead to Jesse Eldridge's release from prison. Today's Sponsors: MHz Choice - MHzChoice.com - use code "truth" for free month and 50% first month stamps.com - use code "truth" for special offer. Bob and Mike answer listener questions and discuss theories about Episode 311: "Grove Rats", and Episode 312: "Mother's Day" Today's Sponsor: Stamps.com - Click the microphone at the top of the homepage and type in TRUTH for a special offer. In this episode, Bob explains the history of how Pleasant Grove came to be, and how it evolved into the neighborhood that exists today. We hear from Grove residents from all walks of life. Today's Sponsors: Stamps.com - enter code truth for special offer Letote.com - enter code truth for 50% off first month Proflowers.com - enter code "TAJ" for $19.99 Mother's Day special. In this episode, Bob breaks down Medical Examiner Sheila Spotswood's autopsy report and trial testimony. We examine every detail of every wound, in order to create a profile of the crime scene and offender. Today's Sponsors: Thegreatcoursesplus.com/truth - for one free month Stamps.com - Use code TRUTH for a special offer. In the Season 3 Premiere of Truth & Justice, Bob walks us through the story of Mrs. Keow Gove. Keow was brutally murdered in a south Dallas neighborhood in 1991. In this episode, Bob ties up all of the loose ends in the Edward Ates Case. We hear updates about Francis Johnson and Kenny Snow. In this week's Friday Follow-Up, Mike and Bob are joined by actor and producer, Jon Cryer. Jon and Jody finally put an end to the Unsolved Mysteries debate. In this week's #FridayFollowUp, Bob and Mike connect with listeners to follow up on this week's #episode251 "Zero Possibility" Listen closely for new information that further destroys the State's theory of the case. This episode was recorded live at the Dallas fan meet-up on 1/18. We hear from several listeners and special guests Allison Clayton of the Innocence Project of Texas, Kim and Kyra Ates. In this episode, Bob reports on the latest news from the Adnan Syed case. He briefly discusses Judge Welch's ruling denying Adnan bail. In segment 2, Bob breaks down what was contained in the Smith County open records request, and what was missing. We discover the answers to many questions that we've had in the Elnora Griffin case. In segment 3, we break down Leonard Mosley's first recorded interview with Detective Dale Hukill. Today's sponsor is Blue Apron. Visit www.blueapron.com/truth to get your first three meals FREE with FREE shipping. This is the last Friday Follow-Up episode of 2016. Bob and Mike have a quick chat, and then we hear from 5 listeners who called in. In this episode, Bob walks us through the year in review of 2016. You'll hear highlights from past episodes, and even a year end message from Ed. In this follow up episode, Bob and Mike answer emails, twitter and Facebook questions and take calls from listeners, regarding Episode 246. In this episode Bob furthers his investigation into Leonard and Angela's possible involvement into the death of Elnora Griffin. A new document recovered from the Smith County Sheriff Department is revealed that will send shivers down your spine. In this Friday Follow-Up, Bob and Mike connect with the listeners about episode 245. In this episode, Bob reveals new evidence that exposes Detective Dale Hukill for intentionally fabricating evidence. We also find new evidence that may bring Leonard Mosley back into play as a suspect. In this Friday Follow-Up, Bob and Mike answer emails, tweets, Facebook posts and phone calls about #episode244. We also get to hear from Ed on this one. The guys were able to capture a call from Ed on the day after his Birthday. Bob and Mike were goofing around with Bob's kids in the studio this morning. After editing the show for the boys, we decided to drop the episode as a Friday Follow-Up. It's just for fun. Nothing about the case. Enjoy the holiday weekend everyone! In this Friday Follow-Up episode, Bob and Mike answer several email, Twitter and Facebook questions, as well as take several phone calls from listeners. A lot of questions about episode 243 are answered here, and we get a sneak peak into Sunday's episode. In this follow-up episode Bob and Mike answer several email, Facebook and Twitter questions. The guys are super laid back this week. We hear from two listeners in the call-in segment. Listen in on this week's conversation. In this first ever "Follow-Up" episode, Bob takes two phone calls from listeners with questions about the #freeadnan case, and a question about the D.A. 's office in Smith County. In the email/Twitter/Facebook segment, Bob and Mike answer several questions ranging from thoughts on the new music to what's going on with the David Dobbs interview. Also, Bob gives the Follow-Up listeners a sneak peak into episode 242. 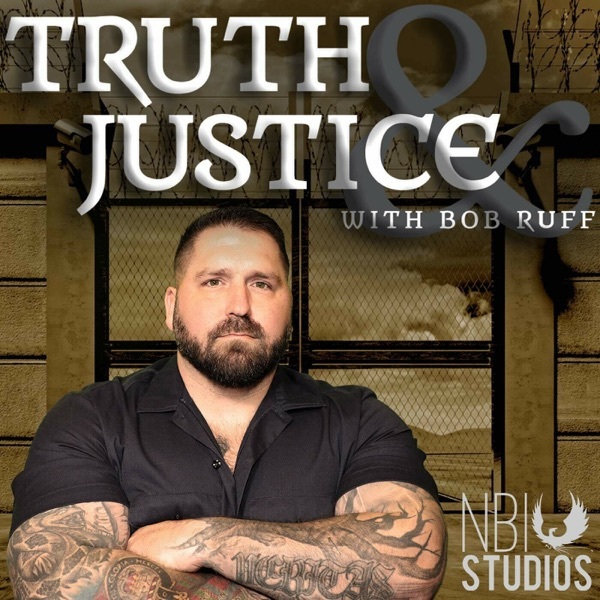 In this episode, Bob interviews exoneree Chris Scott. Chris was convicted of capital murder and sexual assault and began a life sentence in the Coffield Unit prison in 1997. He became friends with Ed Ates, when Ed arrived at the same unit in 1998. The two spent 10 years together in prison, before Scott was finally exonerated through a Conviction Integrity Unity in Dallas County. Chris tells us about his experience with the criminal justice system, his time spent living with Ed, his exoneration, and fills us in on what he's doing now to help other people who have been wrongfully convicted. In this episode, Bob taps into the #truthandjusticearmy for feedback, theories and questions about the Margie Jackson interview and the new information about Angela Walker. There are a lot of exciting things happening right now. Stay tuned to the end of the show, for a big announcement. In this episode, Bob follows up on the Margie interview. He gives us some new information that may help to clear up some questions that a lot of people had. Bob also begins an investigation into Angela Walker, and fills us in on the status of his open records request with the Smith County DA's Office. In this episode, Bob continues the investigation into the murder of Elnora Griffin. This week, the investigation turns toward Ed's mother Margie. In this episode, Bob reaches out to the #Truth&JusticeArmy to further discuss the Leonard Mosley interview. Bob answers questions, and digs deeper into Mosley's statements. In this episode, we hear the full interview with Leonard Mosley. Segment one features the full interview, and in segment two Bob breaks down the interview and gives his analysis. This week we travel along with Bob back to Tyler, Texas. We hear from some very interesting people. Experience this trip right along side Bob. In this episode, Bob takes us along on his journey where he has been attempting to obtain case files from the Smith County DA's office for over 5 months. In this episode, Bob finally discovers the full picture of how Kenny Snow came to be involved in Ed's case. We also find out just how close we came to having some key physical evidence tested, that could have completely changed the outcome of the case. This episode is all about Ed, Kim, Kyra and Zachary. Bob expresses his feelings after meeting Ed and his family face to face for the first time. We hear directly from Ed and Kim in this episode. In this episode, we hear from Ed's brother Kelvin Ates. We learn about the strange involvement that Kelvin had in Ed's trial. Bob also examines the defense's strategy and closing arguments. We find out how the State managed to convince 12 jurors that an innocent man was guilty. In this episode, Bob breaks down the phone records of Elnora Griffin and proposes several theories that may explain the "I'm sitting here talking to Edward" phone call. The second segment features an interview that sheds a new light onto the Kerry Max Cook case. In this episode, Bob begins with a breakdown of the judges ruling that resulted in Adnan's conviction being vacated. In the second segment, Bob explains the proceedings at the Kerry Max Cook actual innocence hearing. In the third segment, Bob gives a startling analysis of the Lynda Jo Edwards murder. In this episode, Bob breaks down the testimony of Cubia Jackson. Cubia had testified that Elnora had told her over the phone, on the night she was murdered, that she was "sitting her talking to Edward." Bob was able to make contact with Cubia to discuss her testimony. Also, Bob reveals more funny business in the DA's office. In this episode, Bob takes calls from listeners. You'll hear about Adnan, Kenny, Ed and Kerry in this episode. In this episode, Bob walks through all of the events and discoveries from his most recent trip to Tyler, TX. We also hear from Ed's new attorney. Allison Clayton from The Innocence Project of Texas. In this episode, Bob walks us through all of the new developments in the Kerry Max Cook case, and follows up with some shocking new developments in the Edward Ates case. In this episode, we hear from Edward Ates' wife Kimberly. An emotional beginning to this episode, shifts to an extremely detailed analysis of Francis Johnson's whereabouts on the night of Elnora's murder. Bob closes the episode by revealing new found evidence in the Kerry Max Cook case. In this episode, Bob discusses the latest developments in the Kerry Max Cook case and calls upon his listeners to help him support Kerry at his Actual Innocence Hearing. Bob then updates listeners on some new information in the Ed Ates Case, then we hear from Jeff Deskovic and William Haughey. Jeff's foundation just secured a full exoneration for William, and they join Bob to talk about the experience. In the final segment, Bob breaks down the trial testimony of Francis Johnson. In this episode, Bob breaks down the testimony of Angela Walker. We hear some happy news about both Ed and Kenny, and some analysis of the post-offense behaviors of Ed and Leonard Mosley. In this episode, Bob breaks down a detailed analysis of Leonard Mosley's testimony. Leonard is the man who was dating Elnora and had previously been engaged to her. In this episode, Bob completes a follow up analysis of the crime scene, including the testimony of another crime scene investigator. We hears some listener theories, and break down the known timeline of Edward Ates. In this episode, Bob discusses Elnora Griffin's victimology and completes a thorough analysis of the actual crime scene. In this episode, Bob lays out the State's case against Edward Ates. This is the first episode, in a series of episodes where Bob will break down this case point by point. This week, we hear only the evidence that supports the State's theory that Ed Ates murdered Elnora Griffin. In this episode, Bob makes yet another trip to Tyler, Texas. While sitting in the middle of the Smith County Courthouse, he finds critical information to both Edward Ates' and Kenny Snow's cases. In this episode, Bob updates the listeners on more Smith County Shenanigans. You'll hear a short break down of Kerry Max Cook's case, then hear Kerry speak about what is happening this week as he approaches his actual innocence hearing. In this episode, Bob further dissects the Edward Ates case and reveals new information on the Kenny Snow case. Two other cases of Smith County corruption are discussed. Bob announces his theory on Kenny Snow's guilt/innocence, and throws down the gauntlet to David Dobbs. In this bonus episode, Abi Cordoba-Wilson sits in with Bob to discuss the final outcome of his felony resisting and obstructing case. This episode is a turning point for the Smith County case. Bob is connecting dots, and finally developing a strategy to take down the corrupt justice system. This episode is broken into 3 segments. Bob updates the listeners on all 3 current cases. Hear the latest developments on the Smith County case, including more information on Edward Ates. Bob also discusses his theory on the Syed/Lee case, and discusses the comments that he made at the Night for Justice Gala. Lastly, he updates the listeners on the Abi Cordoba-Wilson Case. This episode is not for every listener. This is the full, uncut, unedited version of Kenny's first interrogation with the police. It is not an easy listen, but many listeners have asked to have access to the full interview. In this episode, Bob dissects Kenny Snow's first interview with Detectives Van Ness and Waller. In this bonus episode, Bob lays out a new case that hits close to home. In this episode, we get a lesson in interrogation. Bob discusses and analyzes the police interrogation of Patricia "Plump" Mims. In this episode, Bob briefly discusses his take on the Steven Avery #makingamurder case, then breaks down the elements of the crimes that Kenny Snow was convicted of committing. Bob obtained new documentation on the case, and made contact with some of the key "players". In this episode, Bob explores another Smith County, TX case. Kerry Max Cook was released after serving nearly two decades on death row for a crime he did not commit. The same court rooms as Kenny Snow. The same police department, and many of the same players. S1E32: Suspect - Mr. S.
This bonus episode is a short clarification about the audio clip played in Episode 28. In this episode, Bob breaks down Undisclosed Episode Addendum 13, and walks through the saga of Hae's relationship with Don throughout her diary. In this episode, Bob begins following up on Jim Clemente's preliminary profile. The suspect pool is narrowed, and Bob examines the alibis of the remaining suspects. Bob interviews renowned FBI profiler, Jim Clemente. Jim has been working on developing a profile for the Hae Minn Lee murder case, and reveals his work on this episode of Truth & Justice. Have a notebook handy, because Clemente is full of fascinating information. Bob also recaps Undisclosed Addendum 12, and talks about Adnan's attorney, Justin Brown's latest filing. S1E24: Interview with Michael A. Wood, Jr. In this episode, Bob interviews former Baltimore PD Detective, Michael A. Wood, Jr. Michael talks about the incentives that drive detectives to close cases, come Hell or high water. The episode also includes the reveal of new information, in the "Don investigation." In this episode, Bob analyzes Debbie's interview transcripts in an attempt to figure out what exactly Ritz and Mac Gillivary were up to. After that, Bob responds to recent Reddit activity. In this episode, Bob breaks down Undisclosed Episode 11, Interviews Laura (Stephanie's best friend and friends with Jay, Jenn, Adnan, E and Hae). Also, reads listener emails, and answers questions about Don's time sheets. In this episode, Bob continues on with his investigation of Don. At the close of the show, the future of The Serial Dynasty is announced. In this episode, Bob investigates Don. In this episode, Bob discusses Undisclosed Episode 10, and features an interview with Serial's "Neighbor Boy". In this episode, Bob focuses in on suspect Roy S. Davis III. Bob analyzes and fact checks evidence sent in by listeners about Davis. We also hear a conversation from Serial Dynasty sponsor, Shaun T.
In this episode, Bob discusses Undisclosed Episode 9, and shifts the gears of the show. S1E15: We the people of the jury . . . In this episode, Bob interviews/debates author and blogger Ann Brocklehurst. Bob and Ann present opposing sides of the case. In this episode, Bob discusses both The Generation Why episode that included the Hae Lee murder case, and Episode 8 of Undisclosed: PING. S1E13: Snitch or No Snitch? In this episode, Bob reads through several listener emails. This week's theme revolves around Jay's "snitching". Also, we hear from our new sponsor Shaun T! In this episode, Bob analyzes Undisclosed Episode 7 and walks through the Detectives timeline during the investigation. In this week's episode, Bob interviews one of Adnan's closest friends from High School, Krista. In this episode, Bob begins with a follow up to last week's discussion about the 2/4 NCIC searches, then moves on to analysis of Undisclosed Episode 6, and ends the show reading listener emails and tweets. In this episode, Bob interviews Rabia Chaudry, then continues on with in depth analysis of Undisclosed Episode 5 Addendum. In this episode, Bob takes calls from listeners rather than reading emails. Bob walks the listeners through a step by step analysis of all the suspects. Following Undisclosed's Episode 4, Bob spends an hour on the phone with Colin Miller. Bob ends the episode with a narrowed down theory and a call to action for the listeners. S1E4: Are you scared . . . you should be. Bob discusses updates in the case, following Undisclosed Episode 3 Addendum. With new information, he's narrowing in on the real villain in the Adnan Syed case. Following the release of Undisclosed Episode & Addendum 2. Bob reveals the theory that he sent into Rabia, breaks down what he considers to be facts about the case, reads listener emails and theories, then finally lays out his theory. In Episode 1, Bob explains what the Serial Dynasty Podcast is all about, and calls Serial / UNDISCLOSED fans to action. Bob is asking fans to email their thoughts and theories to him to be discussed on Episode 2.